” Midnight Snack ” is an original watercolor still life painted in the realist tradition. 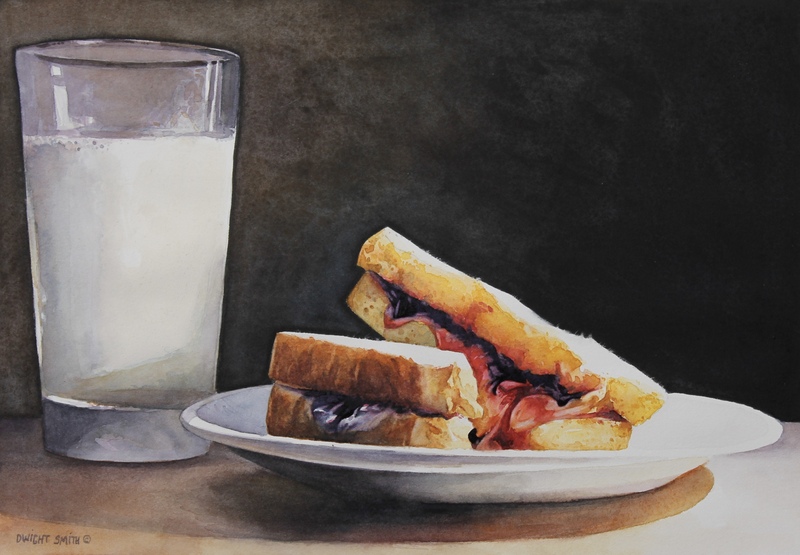 It is a food themed painting depicting a glass of milk with a peanut butter and jam sandwich. I wanted to give the impression that the viewer was sneaking up on the snack by keeping the light source low and limited. This original watercolor will be on view and available for sale at UGallery.com.